Letting a property is a big step and you want to be sure that you’re placing one of your most valuable assets into the hands of a lettings agent you can trust. In order to be sure, you need to be asking the right questions when you’re looking for an agent. At Simpsons we’re very clear about the services we offer - and our terms and conditions. Whilst we put as much information as we can on our website, we’re always happy to invite a conversation. Our Lettings Director, Joe Hodgkins, has put together a list of the top 10 questions he gets asked by prospective landlords. You definitely want to be asking these when pre-framing your next property manager! How can we be sure that you are professionally qualified and abide by industry standards? How do you know that your agent works to high professional standards? Unfortunately there is no single ethical or professional code in force across the industry so you should ask if they are members of a professional body. 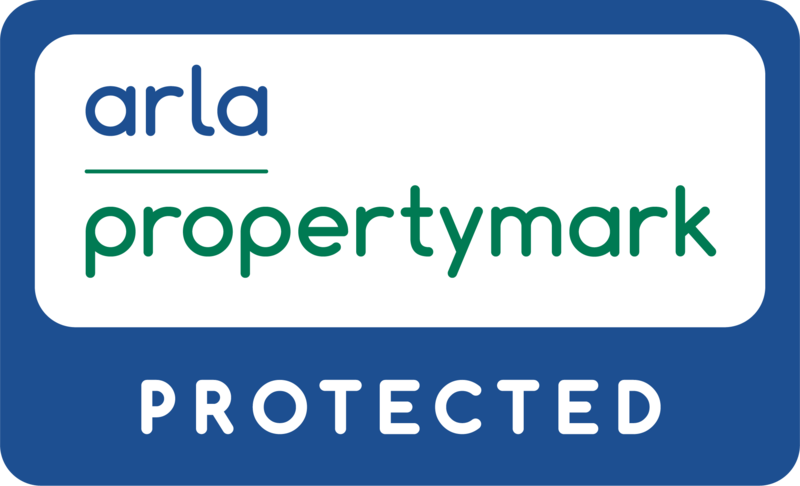 Joe is a personal member of the Association of Residential Letting Agents (ARLA) and has been since 2001! Furthermore, since joining the team has started the process of obtaining their Propertymark membership; meaning landlords can enjoy peace of mind knowing the service they'll receive from Simpsons Lettings meets high professional and ethical standards. Simpsons are members of The Property Ombudsman (TPO) scheme, further demonstrating their commitment to customer service. You want to be sure that your agent can give your property the attention it deserves, so find out how many properties the agent is managing. I consider more than 150 lettings per agent to be too large a workload for one agent. That said, with the assistance of a team the most I’ve managed is 350 buy-to-let homes. How do you market properties to attract tenants? Find out what methods the agent uses to market your home and whether they have a clear strategy. At Simpsons we find that a multi-media approach, using a mixture of traditional advertising, online listings on our website and social media, is very effective. To ensure your property stands out when searching for a new tenant, we also use a professional photography company to prepare a quality set of images and a floor-plan with room measurements, all as standard and free of charge. It’s also important to ask whether the agent offers accompanied viewings only, and seven days a week - as we do! How do you screen potential tenants? You want to be sure there is a thorough, personal vetting system in place to avoid problems with non-payment or deposit disagreements down the line. Find out if the agent has a subscription to one of the major tenancy databases so that they can carry out thorough checks on tenancy history, credit worthiness and current employment status. Can you outline your various property management options? At Simpsons we offer Full management, Rent collection and Introduction only, designed to match your budget and the level of involvement you wish to have with your property. View our Landlords guide here. How do you calculate the monthly rental potential of a property? Find out what the agent bases their answer on. You want an agent who knows the market and the rents being achieved by similar properties in your area (you can find out before your meeting what tenants in similar buildings in the area are paying). How many inspections do you carry out per year? How much do they cost? Most letting agents carry out inspections twice a year to ensure your property is being looked after by the tenants. We carry out our inspections at least every 4 months. Make sure you receive a report and follow up communications to confirm that any maintenance has been done to the required standard. Simpsons do not charge for routine inspections which come as standard within our full management service. What’s the procedure for reporting repairs and maintenance? Find out how the agent deals with urgent maintenance requests from the tenant. Is there a 24-hour emergency repair phone number? You don’t want a phone call from a desperate tenant on Christmas Day that they don’t have any electricity! We provide our landlords and tenants with 24/7 support to deal with any eventuality. Does the agent have a list of favoured contractors? Find out if the agent pays them directly and deducts the cost from your monthly invoice or whether you have to pay directly. When a repair or maintenance is needed, we also have a hand-picked selection of trusted tradespeople who we call upon. How do you deal with a tenant in arrears? Is there a procedure? Ask if the agent has a clear policy to make sure your tenant pays the rent they owe. You want to know how the agent enforces late payments and how much support they give you if you need to go to court. You also need to know how often they collect rent and pay it into your account. Ask how often you receive an invoice (usually once a month). What do you offer that other lettings agents don't? Property management is about more than collecting the rent and fixing radiators. It should be a complete service that gives you peace of mind. Every lettings agent has their own strengths and weaknesses. Simpsons is a small, independent agency that aims to develop a close, long term relationship with every client. That’s why we offer a single point of contact from day one. If you would like to know more about how Simpsons can help maximise your rental income in the Abingdon area without the hassle of managing your property, contact us via our website, Simpsons of Abingdon or ring 01235 520079. We’d be happy to help.